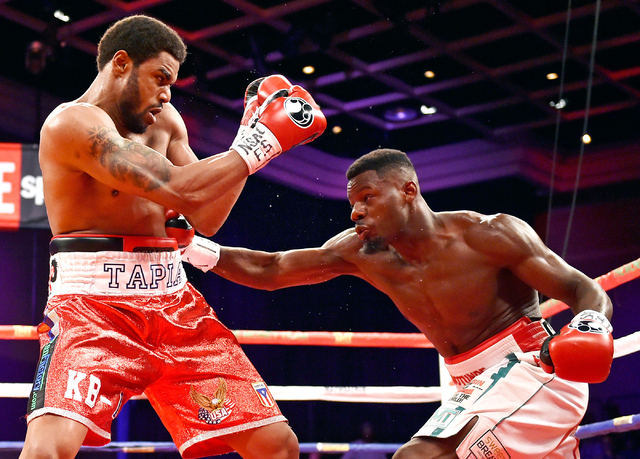 Las Vegas cruiserweight Andrew Tabiti knocked down Keith Tapia in the eighth round and won a unanimous decision at Sam’s Town to improve to 13-0. 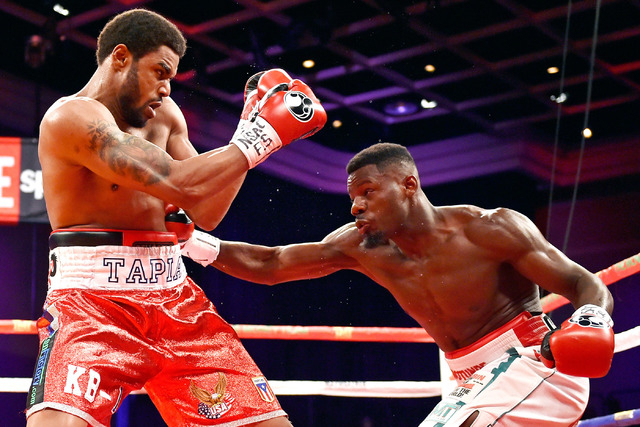 OK, so maybe Andrew Tabiti and Keith Tapia won’t exchange Christmas cards. But a little hate never hurts when it comes to spicing up a fight. The animosity between the two undefeated cruiserweights was evident Friday at Sam’s Town, as there was plenty of holding, late hitting and fouling to keep referee Jay Nady busy. 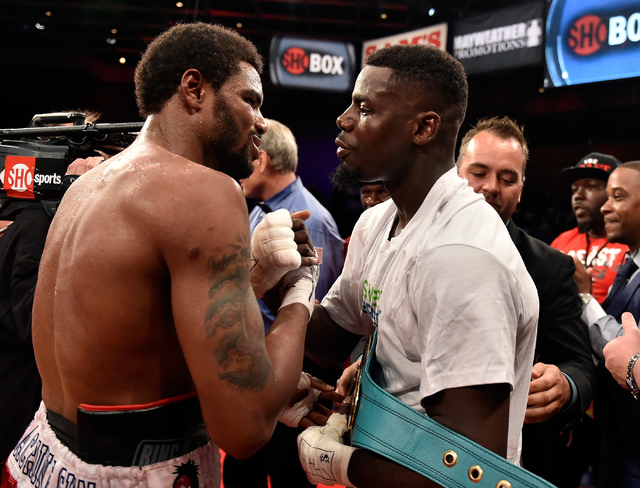 In the end, Tabiti, a 26-year-old from Las Vegas, won a 10-round unanimous decision on the Showtime-televised card. “He was a strong, awkward guy who was elusive. 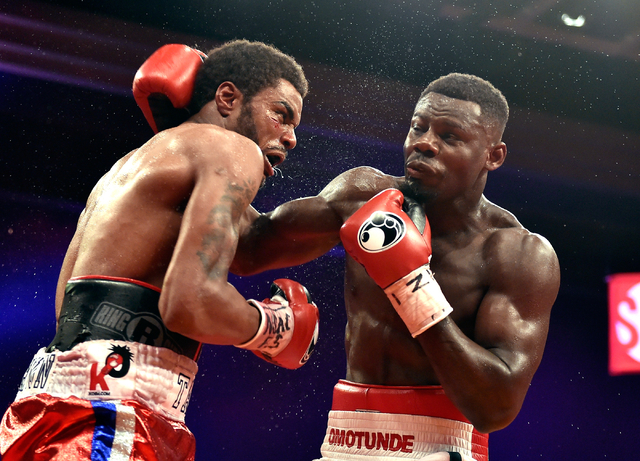 It took me awhile to figure him out and get my timing down,” said Tabiti, who won by scores of 99-90, 97-92, 97-92, thanks in part to a flash knockdown he scored late in the eighth round. A short right hand by Tabiti (13-0) caught Tapia (17-1) on the chin, and he went to a knee. He got right back up and didn’t appear hurt, but it gave Tabiti a little more room with the judges. The two had engaged in a shoving match during Thursday’s weigh-in, and once the opening bell sounded, it got nasty at times with Tapia trying to turn the fight into a street brawl. But Tabiti stayed with his game plan, which was to move, get in, get out, work behind his jab and use his superior hand speed. In the fourth round, the two exchanged a flurry of combinations with Tabiti getting the better of it. 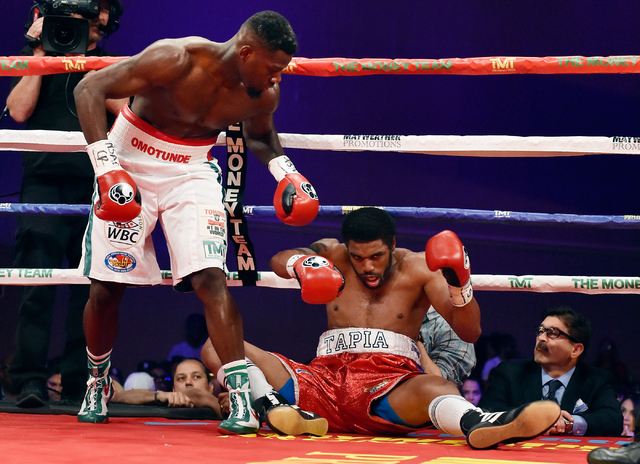 In the fifth, Tabiti rocked Tapia with a short, sharp right to the chin that stunned the 25-year-old Puerto Rican. 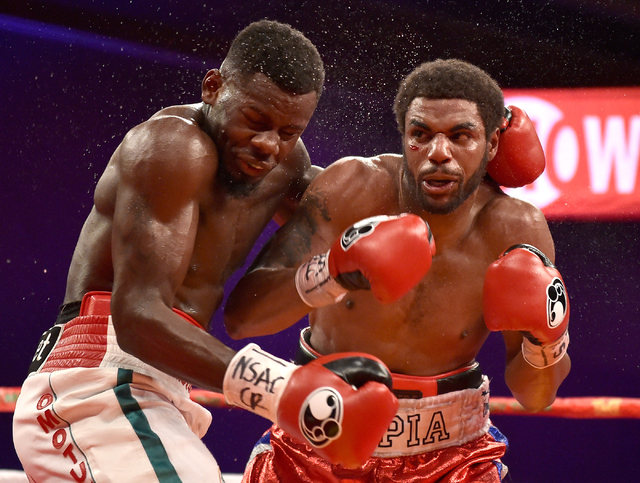 It got wild in the sixth, as Tapia landed a big right of his own to Tabiti’s chin, and Tabiti answered with a shove that had Tapia somersaulting across the ring late in the round. In the co-feature, another local undefeated cruiserweight — Michael Hunter — dominated Isiah Thomas and won a 10-round unanimous decision (100-90, 100-90, 99-91) to capture the North American Boxing Organization title. Hunter (12-0) was the aggressor from the opening bell, going to the body effectively against the southpaw from Detroit and constantly beating him to the punch. He also had his left jab working well, tagging Thomas (17-1) time after time while creating enough distance to avoid getting hit. Contact Steve Carp at scarp@reviewjournal.com or 702-387-2913. Follow on Twitter: @stevecarprj.